Owing to their ability to log and store spatial data GPS devices have become incredibly popular especially among anglers nowadays. Indeed, these devices can come in handy in helping you find your way in the waters. Needless to say, they can also be quite helpful in emergency situations. The abbreviation GPS stands for Global Positioning System in full. As such, the concept behind this system is to help you determine your position on the face of the earth whenever you need to. So, you’d need such a feature especially when hiking or fishing on expansive water bodies. Most importantly, a GPS provides you with the freedom to explore larger fishing fields without worrying about directions. Thanks to modern innovation, GPS devices have become quote handy as well. For instance, it’s possible to find a system that can be easily put in the pocket. Above all, due to the competition on the markets, it’s possible to get a pocket-friendly deal. On top of that, our editors have gone ahead and compiled the following review of the best handheld GPS for fishing. It’s an exclusive list that you really don’t want to miss out on especially if you want to make an informed verdict. 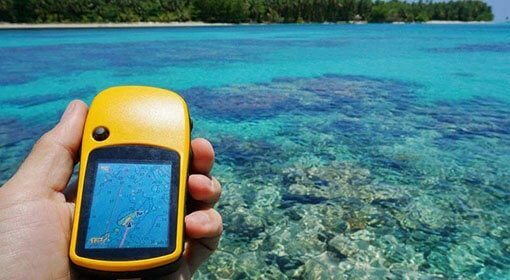 Whether you’re an adventurer or angler, handheld GPS can help you navigate off the grid. And now, below is a comparison chart to help you easily find your way to the best GPS system available. 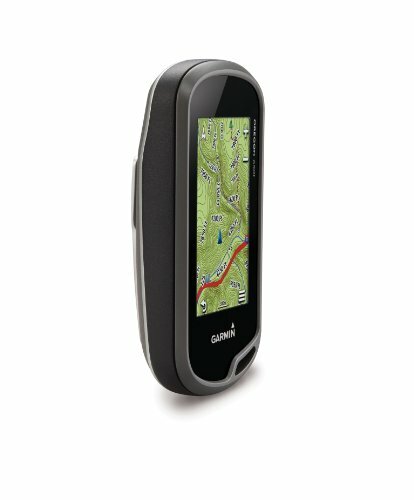 When it comes to handheld GPS devices, the Garmin 62S definitely sets the bar. It is a part of the Garmin’s 60 series and it will surely impress you with its amazing features. 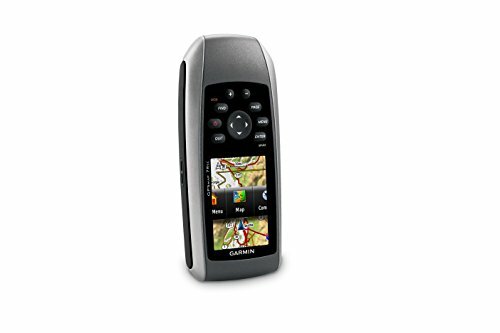 The Garmin GPSMAP 62S will let you navigate around the world with much ease due to its built-in worldwide map. It also has a photo navigation feature which enables you to download photos from the internet which are geo-tagged and you can locate them much easier. 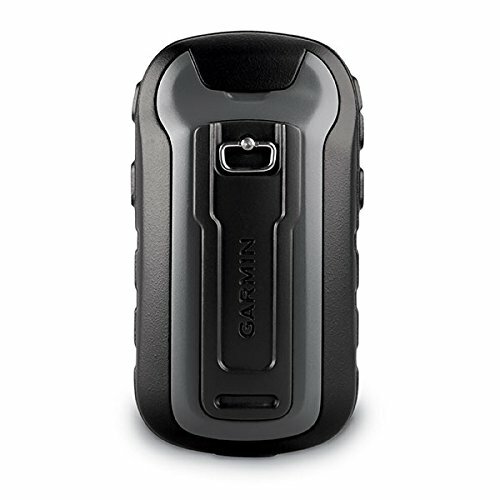 The Garmin 62S comes with a quad helix antenna which is backed up by a highly sensitive GPS receiver. This means that however far you are from civilization, the GPSMAP 62S will easily locate your position and you can find your way out. It is rugged and does not break easily. The USB port is sealed by a flap to prevent the entry of foreign particles via this port. It has an awesome grip due to the rubberized exterior. To add on this, it is very comfortable to hold for long durations of time since it does not generate any heat and has rounded edges. Finally, the display is sunlight-readable and therefore all you need to read it is a proper angle. 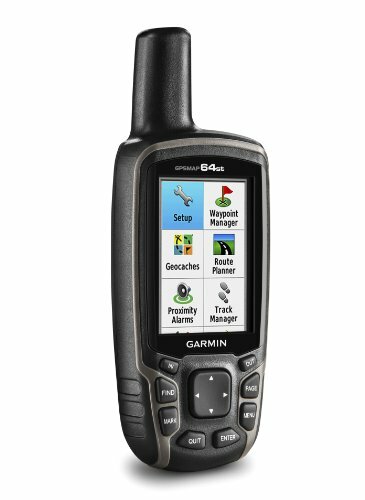 It is quite easy to confuse the Garmin 650T with the 550T model. In fact, apart from the occasional upgrades on the 650T, the two models are basically similar in various aspects. To start with, the 650T has a brighter and bigger screen which makes it easier and more comfortable to read as compared to the 550T model. This feature comes in handy, particularly during navigation. On top of that, the touchscreen is highly sensitive and responds to the slightest touch. If your NiMH battery pack loses charge, you can always use AA batteries as a backup plan. Another impressive bit with the battery pack is that you can charge it directly from the device and therefore eliminates the need for an extra charger. It is waterproof and has an 8MP resolution. The internal memory is also much larger and you can store all you want without deleting other images to create space. The maps are quite detailed and regularly update themselves to include more areas. The readings are so accurate that you can always find your way out of the deepest canopy without difficulty. Finally, you do not have to be in motion to use the compass. You can stand in one spot and still get the bearings which you need. 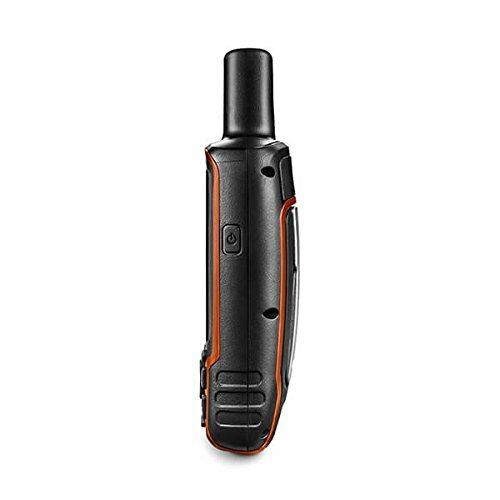 This model comes with advanced sensors and wireless connectivity and will be of great help to you if you are a mariner or even hiker. This handheld GPS has an approximate weight of 9.3 ounces and also measures 1.4x4.2x6 inches. It is preloaded with over 100,000 maps and has a 1-year subscription of BirdsEye Satellite imagery. The Garmin GPSMAP 64st has an amazing track recording performance. This is made possible by the Russian GLONASS constellation which has a great reputation in the northern latitudes and other canyon-like surroundings. It is pre-loaded with over 250,000 geocaches and will definitely come in handy at some point during navigation. Lastly, you can sync it with your iPhone so that you can get instant notifications when you need them. This handheld GPS is just for you if you are new to using such gadgets. It is simple yet strong and handy such that you may find yourself overlooking the more established GPS systems. This model is really simple and does not contain extremely detailed maps. Instead, you will have the GPS and GLONASS satellite to help you find your way around much more efficiently. The eTrex 10 is just for you if you want to find your way without going into too many technicalities. To start with, the display on this model is plain while the text is in grey. The resolution is quite low and will definitely affect the reading. At the back of the unit is a mountain spine which you can use to attach to a bike. You can also clip it on your clothing so that you can avoid carrying it in your pocket. It is light so you will not feel a thing while moving it around. You can always fall back to AA batteries in case the charge dies down. Lastly, it has a feature which lets you choose between fitness, marine, recreation, and geocaching purposes. This is one of the most popular models of handheld GPS devices. The design has been revamped a number of times and its production will soon come to a halt. This GPS gadget has a very friendly UI. The search feature has a “Find by name” mode which will give you the easiest time while you search for a particular location. The screen visibility is also quite friendly. It has an amazing balance and you can use it even in the roughest terrain. The 60Cx is bulky and has rubber grips to enable you to use it even with one hand only. It feels good in the hands and you can hold it securely for hours to come. The screen is sunlight readable and is also sensitive to the viewing angle which you subject it to. The GPS functions are organized into pages and this makes it quite easy for you to use and learn the user interface. The unit also comes with a variety of maps for you to choose from and use in finding your way. To add to this, it has a find button which will help you in locating information such as addresses and other points of interest. The retaining clip for the microSD can easily come off. This model is a multi-purpose item and is one of the smallest and lightest handheld GPS devices of the Garmin series that you will ever come across. The eTrex 20x measures 4x2.1x1.2 inches and weighs around 5 ounces. The package comes with a USB cable as well as a manual to guide you in the setup. The eTrex 20x has side buttons as well as a joystick to enable you to easily control this gadget. It fits nicely in the hands and so you can comfortably operate it single-handedly. The GPS is quite efficient as it takes just a few seconds to load and locate your position. The screen has a high resolution and this makes it quite easy to read. In fact, the screen is readable under different lighting conditions. The Oregon 450 series is a successor to the Oregon 400 series and includes a tri-axial compass which can operate at any angle. This model measures 2.25x4.25 inches and is relatively smaller than other models. This means that it will fit nicely in your hands. It has a rubbery edge to enhance its grip while the carabineer clip will let you clip it onto your belt or bag pack. To start with, it has a mini USB plug (USB 2.0) and you can transfer large maps from the computer comfortably. The battery life lasts between 15-20 hours which is quite impressive. The positioning of this navigator is really accurate, with minimal deviation. The display is also amazing and is sunlight readable with great resolution. Finally, it has a 1GB built-in memory and is expandable to 4GB, via a microSD card. This model is highly recommended by the professionals probably due to the awesome track record that the Garmin series has created over the years. The model fits nicely in the hands and is quite portable. It measures 6.2x2.7x1.2 inches and has a high sensitivity receiver which is WAAS enabled. To start with, you can easily operate this navigator with one hand and it takes a couple of seconds to locate your position. The display screen is large and has 120x160 pixel resolution. On top of that, it has a unit power key which you can use to adjust screen brightness. Last but not least, it is quite affordable. This model is rated quite highly when it comes to geocaching. The display is sunlight-readable and has a resolution of 240x320 pixels. It has an internal memory of 3.7 GB. You can expand the memory by making use of the microSD slot. It comes with a base map as well as an electronic compass. You can also measure the barometric pressure and altitude by using the barometric altimeter it comes with. It can determine your location quite fast by making use of the GPS and GLONASS satellites. This sturdy GPS navigator is suited for both dry and wet environments. 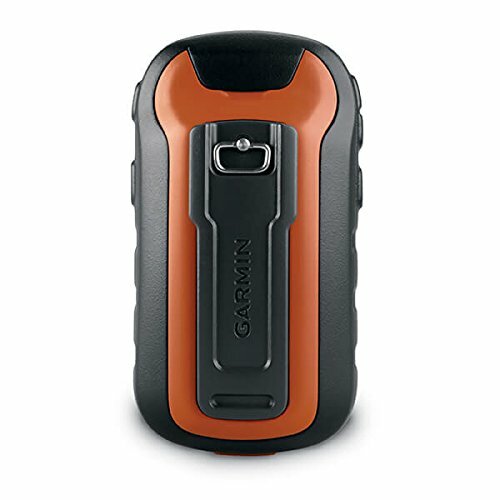 It is waterproof and will still be handy even in the deepest jungles or rough waters. First and foremost, it is waterproof and floats on water. Therefore, you can comfortably use it in water-sports events. 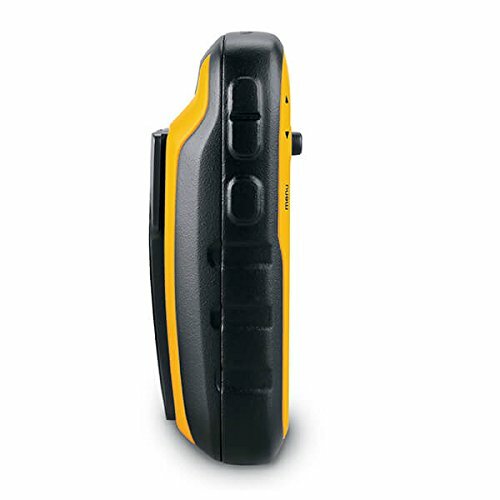 It is a high sensitivity GPS receiver which takes only a couple of seconds to locate your position. The 3-axis tilt compensated electronic compass can be operated at any angle. The rugged case protects it from any sudden external impact as well as enhancing the grip in your hands. The display is large enough to ensure that all details are adequately presented to you. Lastly, the wireless sharing feature may come in Handy if you want to help out a lost friend with directions. This may be a challenge for many but if you follow the simple steps that we have compiled for you, then you are good to go. First, turn on your GPS device and then load the necessary maps into the memory of the GPS receiver. If the maps are not pre-loaded on your device, connect it to a computer and load the maps from there. Ensure that the GPS receiver is giving out your location accurately before marking your starting point by using the latitude and longitude measurements. This will help you locate your starting position after you are done fishing. You will have to utilize the zoom option to keep track of the underwater terrain as well as the extent of the water surface. This will help you in determining your location as well as the route you will be using. Once you turn on this feature, you will keep track of your movement and it will help you get to your desired destination in minimal time. During the travel, ensure you label the waypoints as this information may come in handy in future. You will have recorded the depth of the water as well as the various features found underwater. Once you are done with your fishing expedition, finalize the tracking and then save the data in the device in such a way that you can easily access it for future use. The main purposes of carrying a GPS system with you is so that it can help you locate your way easily. But besides that, it’s always important to demand a few extra features. These can help make your fishing trips more fun. Always check to see if your preferred system has the maps that you need in your location. It’d be a good idea to find a system that enables you to download and add more maps. There are three quality indicators to ponder on when it comes to choosing these systems. The first one is the quality of the color display. Basically, you want a display that’s easy to interpret and also friendly to the eye. Besides that, it’s important to find an LCD display. These are very good for conserving battery power plus they offer a high-quality of view. Lastly, if you’re on a budget, you can think of settling for a TFT display. These are known for their ability to reduce glare and promoting readability. As an angler, it’s important to always take into account the fact that the weather might be unpredictable. So, always try to see if you can find a waterproof GPS for fishing. Basically, the higher the waterproofing level, the more the value you can expect to get out of a system. There are quite a few things about the Garmin GPSMAP 64st that make it a must-have. First off, it has a great display resolution. Besides that it has a powerful dual battery system. Above all, it comes with add-ons among them a temperature sensor and a heart rate monitor. So, we generally think that it offers the best value for money compared to the other ten. GPS systems have completely changed the way people fish. So, don’t be left behind. It’s high time you upgrade your fishing skills and start exploring the deeper and wilder waters. All the best!